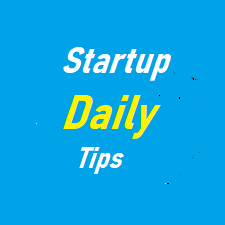 There is no e-commerce startup that overlooks the use of email subscription and nor should you too if you have decided to launch a website to conduct your business online. You might not know that integrating an email subscription service allows you send your latest offers to your subscribed customers. There are a couple of best premium as well as free email marketing service providers including Constant Contact, Mail Chimp, Get Response, Feed Burner etc. 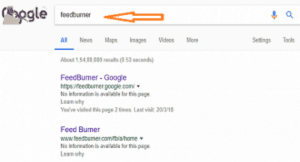 However, Feedburner is probably the easiest one to install and importantly has a speedy rate of response when it comes to sending newsletters to subscribers. Now click the Feed icon marked with the red circle as shown in the image below. You will be routed to Feed Content page ( see the screenshot below ) once you click your feed icon. 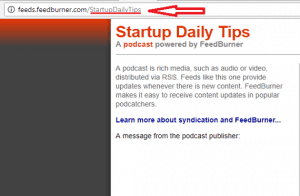 You can easily find your Feedburner ID in the address bar attached to the URL. Copy and paste it in your theme or in the blank text box of a widget. I hope that you find our guide useful. If so, do share it with others.